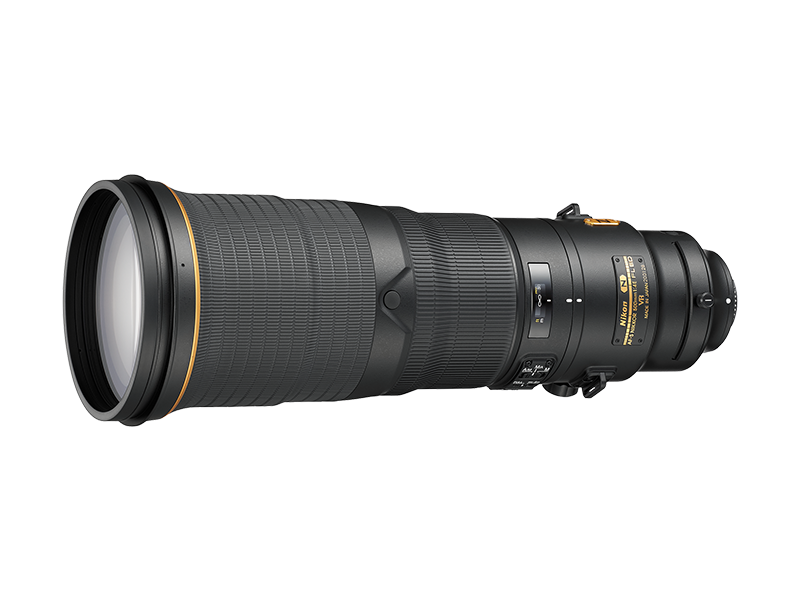 * Among full-frame (35mm-format image sensor) digital SLR compatible, f/4, single-focal-length AF 500 mm lenses available on the market as of July 2, 2015. Statement based on Nikon research. 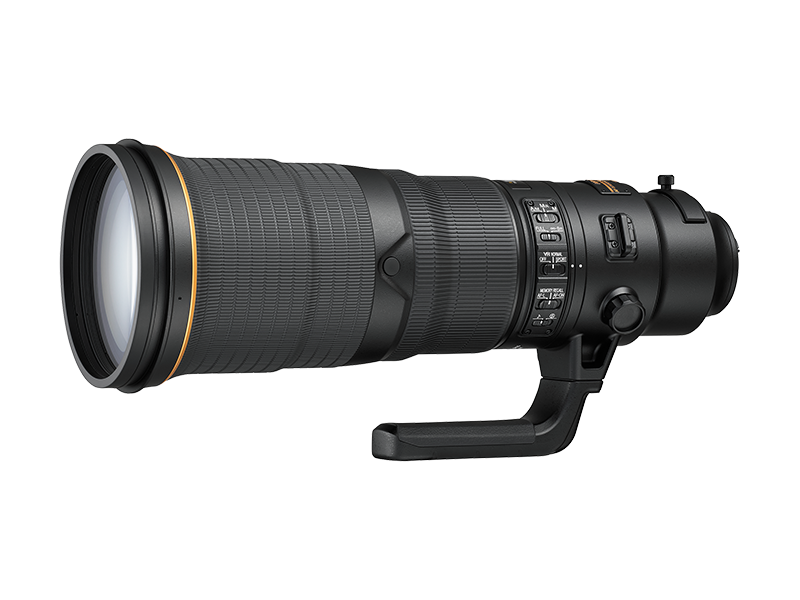 FX-format compatible, super-telephoto prime lens with 500 mm* focal length and f/4 maximum aperture. Employing two fluorite lens elements realizes an outstandingly light body, facilitating composition change even for quickly moving subjects and enabling easy transportation. Two fluorite lens elements and three ED glass elements plus Nano Crystal Coat are employed to achieve high optical performance with minimized chromatic aberration and ghost effect. Vibration Reduction (VR) system provides an effect equivalent to a shutter speed 4.0 stops* faster in NORMAL mode. * Based on CIPA Standard. When attached to an FX-format digital SLR camera. VR performance immediately after the power is turned on in NORMAL mode has been improved, providing a more stable viewfinder image and enhanced blur-reduction effect on the resulting images. SPORT mode, especially effective when shooting sports, for example, in which subjects are radically moving, is adopted as a VR mode option. Even during high-speed continuous shooting, superior AF tracking is achieved, while exposure is stably controlled with the adoption of an electromagnetic diaphragm mechanism. Fluorine coat is applied to a meniscus protective glass at the lens front for enhanced durability and dust prevention. Tripod collar ring utilizing bearings enables smooth switching between horizontal and vertical orientation even for moving subjects, while ensuring improved durability.